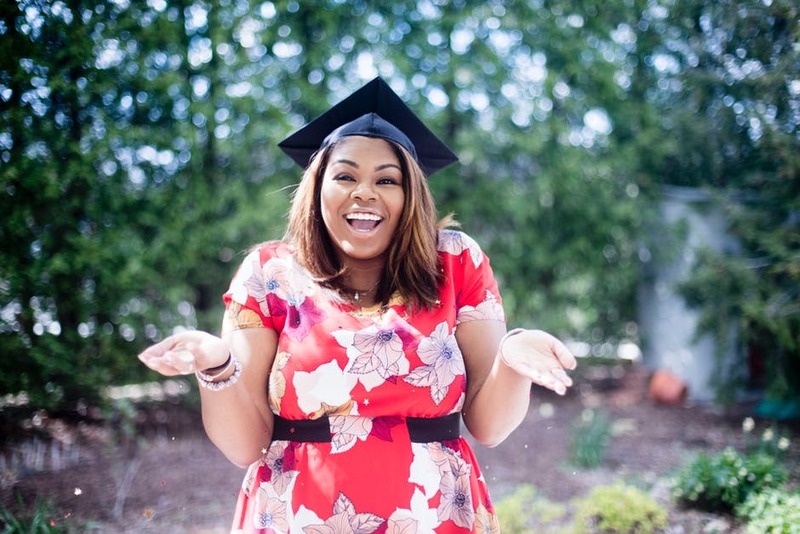 If you are one of the many people that has graduated college or University over the summer, then you might feel like you’ve had to hit the ground running. No doubt you will have had to move home, either to somewhere new or just back to your hometown; leaving all of your college days behind you. You might have some job prospects to pursue or have no idea what you’re doing. Until now, everything has been quite structured for you; you knew what was happening and when. But now you have your degree; you are left out on your own to navigate the world and decide what to do. So if you feel a little like a rabbit in the headlights at the moment, then here are some tips and steps to make yourself more employable. You might not have an idea of what you want to do yet, but it helps to get you ready for a job when you know what you want to do. But what does being more employable mean? The specific qualifications that you have doesn’t automatically qualify you for a job. Often employers will be looking for so much more than just one qualification or requirement. So if you have more desirable attributes than others, then it makes it more likely that you’ll be chosen for the job role. You have to show that you can perform the role efficiently and effectively, using the skills, abilities, and knowledge that you have, as well as your attitude. What kind of skills will employers be looking for? It will vary for the job role you are applying for, as well as the employer. But there are some specific skills that it is useful to demonstrate. Here are just a few skills or attributes that are important to get across, especially when applying for a job or when you get to the interview stage. Enthusiasm for the business and the job in question. Positivity for your work and for when things may have gone wrong before. Commitment to doing your job well and to the business. Being a team player is important as you will have colleagues to work alongside with. But also showing that you’re fine working by yourself is good too. Honesty and integrity is important for all businesses. They want someone who will be honest, do an honest day's work and be a good person. Reliability is a key skill to think about. What have you done that demonstrates this? Flexibility is also a good skill to have. Being too set in your ways can be detrimental to business as things can change quite quickly. Strong personal presentation is important, especially if you are in a customer facing environment. Good communication skills is important in many walks of life, but especially at work. Can you speak well to groups, as well as on the phone and through email? Being a good timekeeper and being punctual are both very desirable qualities that employers look out for. Now that you have your degree, you have one several important things to do to update your résumé with. Not only do you need to mention your degree, but you can mention any subsidiary training that you have done, as well as details of your dissertation or things that you undertook. Talk about any internships or work experience that you might have had over the time you were at college, as well as any job roles. Even things like working on the college paper or organizing a charity event are all good things to talk about. They demonstrate skills that can be transferred to the workplace. So take your time to make sure you get all of your relevant experience out there. If you have really enjoyed your college experience and want to study more, then you might consider doing a masters degree to further your education and training. If you have a particular field that you want to go into, it can be good to specialize and be more specific about what you want to do. Though you won't be working right away, it will stand you above others when it comes to employability, for sure. This isn't for everyone, though, so do take your time to consider if it is going to work for you. There will be costs involved for studying a masters degree. So that needs to be a massive factor to think about too. If formal education isn’t your thing, then you could look into other courses that you could do to further your skills. You might need to learn something specific, like childcare or construction if you wanted to go into those sectors. So you could look somewhere like Citrus construction training and courses if you were thinking of getting into construction, or even starting your own business in construction. So don’t think that just because you have graduated that it means you stop learning; you can always be learning more and more! With more and more people earning college degrees, it makes the competition for jobs quite stiff. So if you want to be the one that stands out from the crowd, just to get an interview, then it is a good idea to get some work experience in the field you want to go into. If you want to get into marketing or PR, then some work experience with a PR firm would be a good idea. You could speculatively get in touch with firms near to you, call in, or speak to family and friends to see if they know people that can help. Often this kind of thing will be unpaid and just for a set amount of time. But if you’re in a position to do so, it can look great on your résumé that you have proven experience in the sector. It also demonstrates how keen you are to work in the sector, as well as how hardworking you are. Being flexible is really important when you are on the hunt for a job. If you just restrict things to your hometown or where you are currently living, then it can reduce your choices down by quite a significant amount. Quite often, you’ll be needing to go a little further afield for work. Large cities are going to have many employers to choose from. So if you want to be working for one of them, then you need to be prepared to move. It doesn’t have to be forever. But as crazy as it sounds, it is easier to get a job when you already have one. So if it comes to applications and interviews, then show them that you are prepared to be flexible with location. It is sure to increase your chances. One thing that graduates often dismiss is working for themselves. They might have it as a goal eventually but not something that they can see themselves doing for quite a while. But why not? What is stopping you? Obviously, you need to have an idea or a plan. But you don’t need to reinvent the wheel to have a successful business. You just need to choose something already out there and do it better. Take some of the most successful businesses of late; Airbnb and Uber. They aren’t doing anything profound or groundbreaking. What they are doing is providing you with a simpler way of doing things. It can be a lot of hard work when you start working for yourself. But if you’re determined, hardworking, and enjoy a challenge, then it is certainly something that you should consider. It used to be a bit of a rumor that people would ‘Google’ you if you applied for a job. But these days it is a very real reality. With social media on the rise like never before, it is highly likely that they will check out your social channels. Having a LinkedIn profile can be a good place to start, keeping things professional, and connecting to people you know, have worked with, or are like-minded individuals. For more personal channels like Facebook, make sure that what you share is respectable. You should also consider your privacy settings on your social channels. If they can’t access very much, then it does show that you know what you are doing. So just have a think; what could a potential employer find out about you at the moment if they checked your social channels? If you apply for a job and get the interview, then you don’t want to blow it when it comes down to the interview. Which is why sharpening up your interview skills is really important. If you have any friends or family members that have experience in interviewing or recruitment, then see if they can help you by giving you a practice interview. Tell them not to go easy on you, as some jobs can be tough. It also pays to take your time to prepare for an interview too. You want to look into the company that you are applying to so that you have some detailed knowledge about what they do, as well as some specific things you can talk or ask them about. It also helps to save the job specification when you apply for the role. No doubt they will refer back to that when they interview you. So having some answers to demonstrate your knowledge or skills in a certain area ready to go, will help the interview to run much more smoothly.